Twin pack. 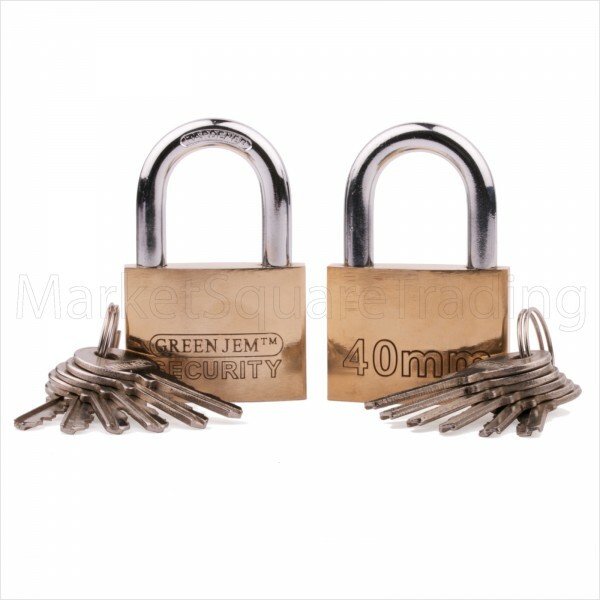 Brass padlock with hardened shackle providing strength and protection. 40mm in size. Supplied with 6 keys (12 altogether), ensuring you are never caught out if you misplace a key. Ideal for suitcases, cashboxes, lockers plus many more. 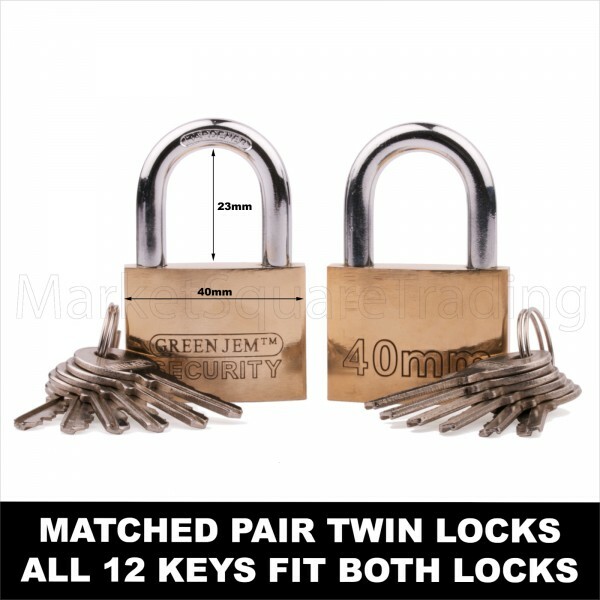 Suitable For Lockers, Bikes, Toolbox's, Sheds, Storage Units, Garages And Gates. Ideal for suitcases, cashboxes, lockers plus many more. TOP TIP.....Drop a little 3 in 1 oil down the key barrel and shackle holes 3 or 4 times a year and keep well maintained if outside and unused in winter and your new lock will serve you well and long in this good old english winter weather.